Not-for-profit providers saw their annual expenses eclipse annual revenue growth in 2016, which will narrow margins and could spur merger-and-acquisition activity. After several years of cost containment among not-for-profit providers, annual expense growth of 7.2% outpaced annual revenue gains of 6%. The larger expense growth was driven by rising pension contributions, higher labor costs amid a nursing shortage, technological investments and growing pharmaceutical prices, according to Moody's Investors Service, which analyzed 323 hospitals and health systems. The findings align with industry experts' perspectives. 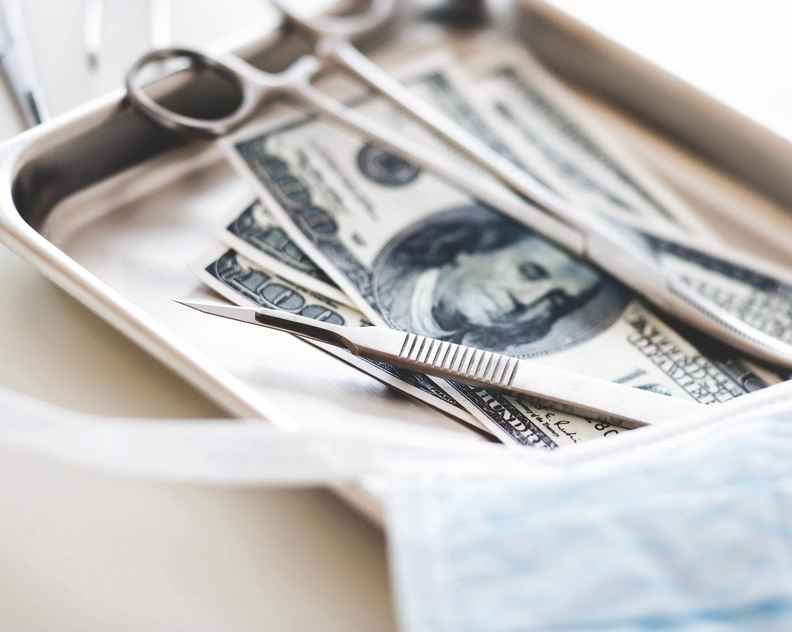 Rising costs coupled with downward pressure on reimbursement levels will have a lasting and compounding effect, said Ken Marlow, chair of the healthcare department at the law firm Waller Lansden Dortch & Davis. "What we are seeing is a number of stand-alone independent hospitals coming to the realization that the state of the healthcare industry is such that it will be more difficult to operate in the future," he said. "They are recognizing that one of the ways to best position themselves is to have economies of scale, decrease expenses and gain better reimbursement levels and rates with payers by joining bigger systems." Outpatient admissions (4.5%) remained stronger than hospital admissions (1.4%), although both were sluggish compared to 2015 and restricted cash flow. Two-thirds of hospitals reported a negative change in operating income from 2015 to 2016 while 17% generated operating deficits. In 2015, outpatient revenue surpassed inpatient revenue for the first time and that trend continued in 2016 at 49% to 50.5%, respectively. Only a sliver of providers' net patient revenue was risk-based, although that metric has incrementally increased from 1.8% in 2013 to 2.4% in 2016. While Moody's still provided a stable outlook, revenue growth will continue to moderate, especially as reimbursement levels dwindle with the shift to value-based payments and as more care is delivered in outpatient settings. Increased competition in outpatient services offset improvements in technology, population health initiatives and cost-conscious pricing strategies, Moody's analysts said. The admissions growth rate slowed to 2.4% in 2016, down from 3.1% the prior year as the uninsured population stabilized as a result of the Affordable Care Act expansion. Independent and smaller systems are facing tough competition for outpatient services from large physician practices and ambulatory surgery centers and are constantly re-evaluating service focus areas and strategic partnerships, said Valerie Breslin Montague, a partner at the law firm Nixon Peabody. "While some stand-alone hospitals and smaller systems have been able to succeed without joining a larger health system, this report illustrates how hard it is, and likely will be, to continue to do so," Montague said. Operating and operating cash flow margins dropped to 2.7% and 9.3%, respectively, which were down from 2015 highs but in line with previous years. Unrestricted cash and investments increased 5.7% to $435.8 million, though the growth rate has markedly declined each year since 2013's 11.2% gain. This may cause smaller hospitals and systems to explore more joint ventures and partnerships or even repurpose full-service acute facilities into specialty providers or free-standing emergency departments, analysts said. "There are an increasing number of distressed hospitals that are having very tough conversations, debating whether they can find a partner quick enough or convert full-service acute facilities," Marlow said. The number of employed physicians has steadily increased since 2013 along with total medical staff, which has caused additional financial distress. Not-for-profit hospitals are struggling to provide competitive salaries and benefits as well as the training needed for specialty nurses, who are often lured away by more lucrative offers, Montague said. One of the most difficult issues not-for-profit providers face is the widening gap in funding pension obligations, Marlow said. Elevated liabilities negatively affected profitability, the Moody's report found. The gap between pension benefit obligations and the value of plan assets grew as the funded ratio fell from 78% to 74%. The growth rate of total adjusted debt, which includes pensions and operating leases, increased by 0.8% in 2016 while employer contributions rose to more than $12 million, up from $10.1 million in 2015. "It's imperative that hospitals maintain annual contributions for funding those plans, otherwise they will run into penalties and other consequences," Marlow said.